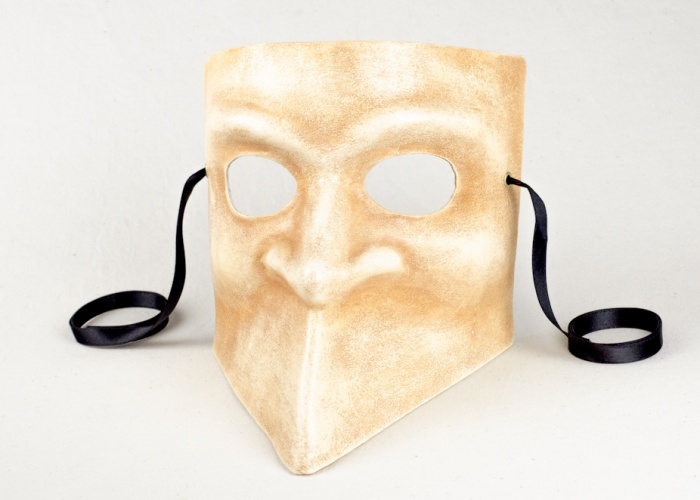 This mask's weathered look makes the bauta appear more antique, enhancing its contours. An acrylic base is applied to the mask giving it a texture suitable for the time-worn look. The 'aging process' for this Venetian mask consists of a water-based wash fixed with semi-gloss transparent varnish.